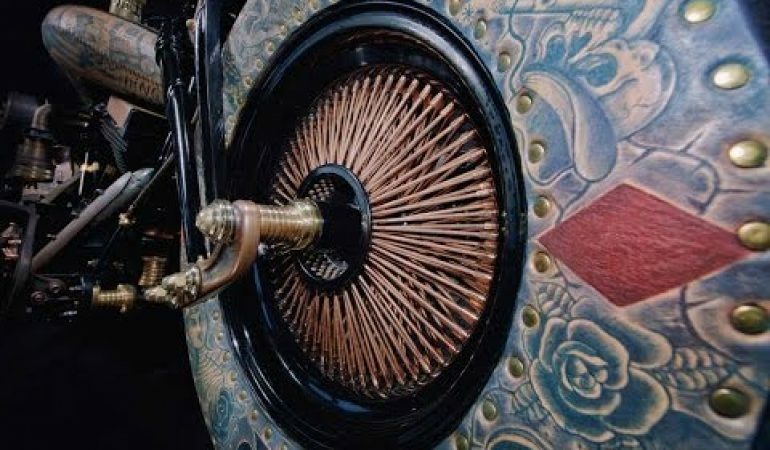 The World’s First Tattooed Motorcycle Is One Of The Coolest Customs To Have Ever Hit The Streets! 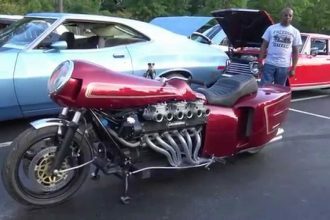 Gear heads can get pretty damn innovative when it comes to custom creating a vehicle or motorcycle. We have witnessed some breath taking creations and every day we tend to come across new and exciting custom builds. In this video we check out a wildly impressive custom motorcycle that was named The Recidivist. The bike was based off of a Harley Davidson chopper and looks fierce driving through the streets. However, what sets this bike a part from all of the other Harley custom builds it’s one of a kind exterior. The bike is covered in 4 sq meters of leather and all over the leather are hand tattooed designs! The tattooing took around 250 hours to complete and the result was one of the most visually enticing bikes we have come across in a while. We are lucky enough to get a look at the incredible bike as it rides through the streets and shows off it’s custom work. To get a look at the one of kind tattooed motorcycle click the video! Coolest Hand Built Peterbilt RC Stroller You Have Ever Seen!